Junior Smart joined St Giles Trust in 2006 upon his release from prison from where he was given a 10-year sentence for a drug and gang related offence. With support from St Giles Trust he set up and developed the award-winning SOS Gangs project, London’s largest ex-offender gangs exit programme. Now covering 13 London boroughs and employing a team comprising predominately of ex-offenders, the SOS Gangs Project is on target to reach over 600 young people caught up in serious group offending and has won numerous awards and recognition, including the South London Press Awards 2008 and the Centre for Social Justice Awards in 2009. 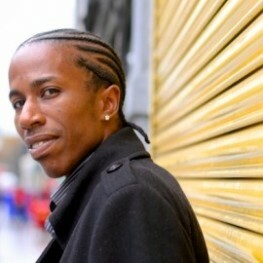 Junior Smart is not only a Youth Leader but a qualified trainer and Gangs Consultant. Despite dropping out of education at the age of 14 he has achieved a first-class degree in Youth Work and Distinction in his MA in Criminology, Youth Crime and Justice. He is currently undertaking a PhD at Middlesex University. His main focus has been centred on Violence Desistance in all its forms and he regularly designs new projects, feeds into public policy through Public Policy Exchange and the Centre for Social Justice and consults with the Met Police as well as other statutory bodies on best practice. Junior was listed in the Evening Standard’s list of 1000 Influential Londoners in 2014 and 2015 and SOS Gangs has won numerous awards: The Charity Awards 2014, The Third Sector Excellence Awards 2011, the Centre for Social Justice Awards 2010 and The South London Press Awards 2008.